Building connections with patients at a dental practice can be a challenge. After all, no matter how excellent your service is, many potential patients are held back by a deeply rooted anxiety about visits to the dentist. You may be aware that your practice is a safe and comfortable place for patients, but you need to communicate that. With some creative dental marketing ideas, you can connect with with potential patients and strengthen your connection with current clients. All it takes is the willingness to try new things! Check out these four creative strategies from the marketing team at Farotech. When potential patients begin searching for a new dentist, one of the things they are looking for is a personal connection. They want to know that they have found a practice where they will be heard and cared for. 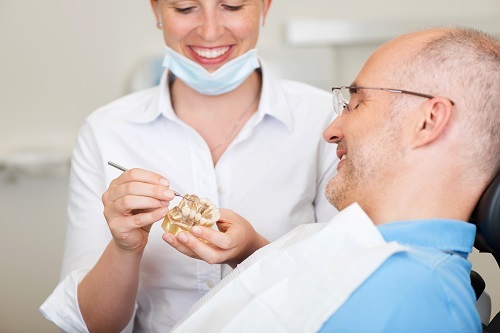 The personal touch that can come from a strong doctor-patient relationship can go a long way to relieve anxiety about any trip to the dentist, whether a basic cleaning or a more in-depth procedure. A video introducing your doctors and staff is much more effective than text when it comes to demonstrating your friendly and compassionate nature. Have a little fun with your video, too, and allow patients to see the fun side of your practice! No matter how much creativity you put into your own marketing campaign, nothing can beat the value of strong patient testimonials. No doubt your patients, especially those you’ve worked with for many years, are saying good things about the practice. Now is the time to tap into that resource. Surveys, interviews, and even short video testimonials can provide excellent material for any aspect of your other dental marketing ideas. To get patients excited about participation, offer fun prizes in a drawing for survey or interview participants. After all, who wouldn’t want to answer a few questions for a chance at a gift card to the local coffee shop? Because your current patients are one of your best resources when it comes to building or expanding a marketing campaign, make sure that you are maintaining a strong relationship with them. After each procedure, make sure that your practice is calling to check in the next day to make sure everything still feels okay. Send birthday cards. And most importantly, make sure you have a strong program in place to thank patients for referrals! Want More Dental Marketing Ideas? For more creative dental marketing ideas, contact the team at Farotech today! We are excited to help you put these and other strategies into action for your practice. Is Your SEO Agency Ripping You Off?